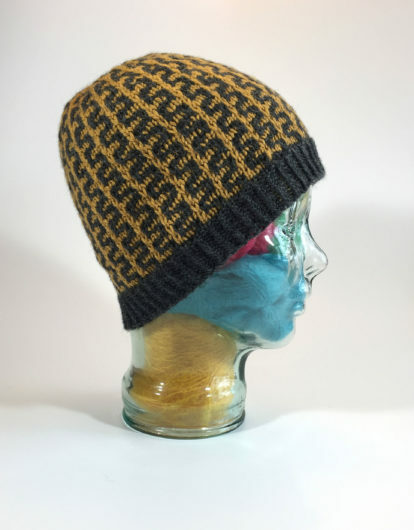 This is Hunter Hammersen’s new trio of hats released as one pattern: Incise. Three for the price of one! How cool is that? To “incise,” Hammersen explains, means “to mark or decorate by a series of cuts.” These slip stitch patterns graphically do exactly that. My Incises are knit in Rowan’s Pure Wool Superwash Worsted. 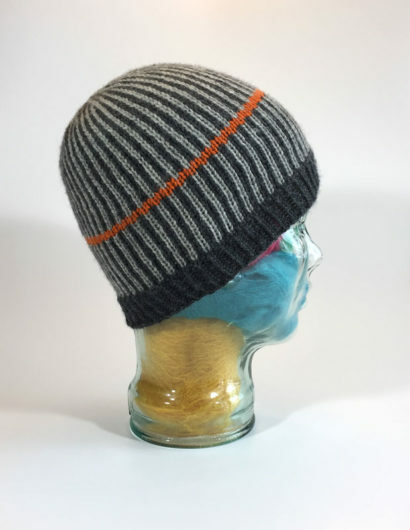 It’s a lightweight worsted and proved to be an excellent choice gauge-wise (and otherwise). 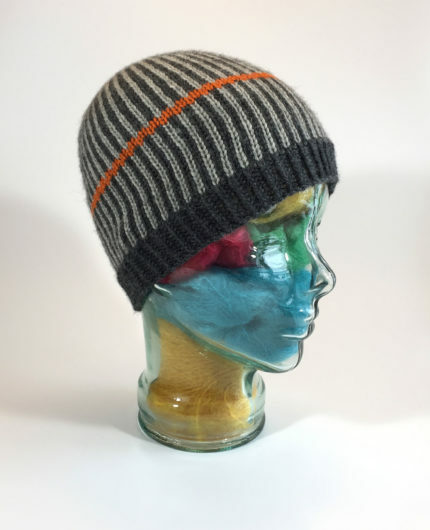 Each hat is a slip stitch pattern. No fair isle here. One colorway per row, no more. This hat is “A. And I give it one. I worked it exactly as the pattern called for. I skimped half an inch on the length to the crown decreases because I was fearful I’d run out of orange, excuse me, “Citron” in the Rowan world. 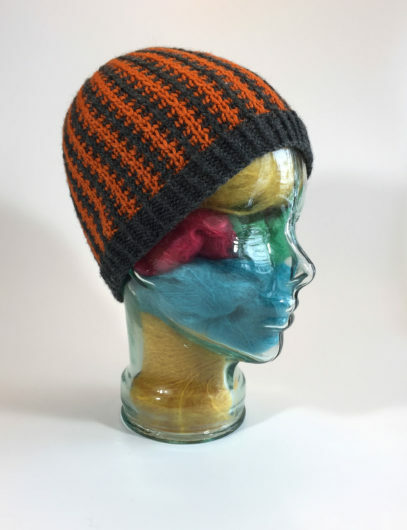 Actually, I didn’t need to be concerned because the crown decreases happen quickly and only add about half an inch of height to the beanie. 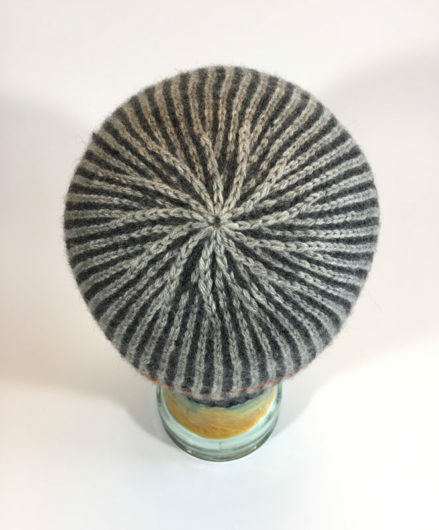 Methinks this is a spectacular finish for a great hat! 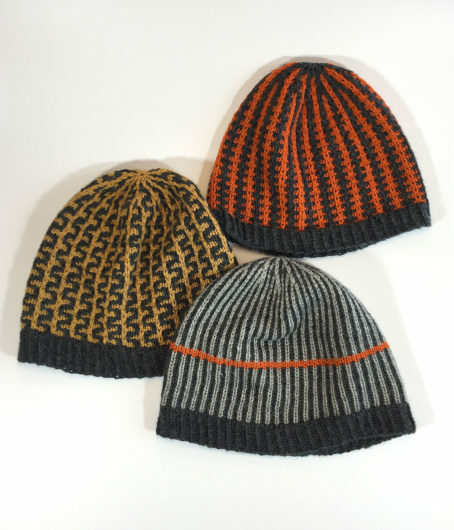 Next comes the sensibly named “B.” I had plenty of Charcoal Gray in my stash and paired it with three different colorways for this trio of hats. Here’s “B” pairing the gray with gold. Once again, the crown is rounded and maintains the pattern all the way to that 16 stitch pinhole ending. This time I began the crown decreases 8.5 inches from the cast-on. All these hats produce a warm, dense fabric. And “B” will keep the wearer’s ears nice and toasty. 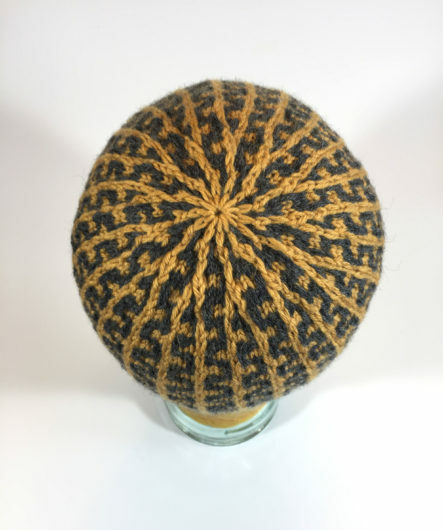 I found that each of the hats needed a tepid bath in Eucalan to relax my slip stitches enough to fit a medium adult head. Especially when I finished “A,” I initially doubted I’d get the circumference I needed. But the fabric relaxed nicely. Here’s “C,” just a tad modified. Knitting gobs of one-by-one slip stitches in Charcoal Gray and Moonstone was fun for a few inches. Then my eyeballs just got excruciatingly tired of gray. That’s when I remembered that I still had some leftover Citron. I added 4 rounds of slip stitch, but with just one color. That stripe woke me up enough that the gray turned out to be quite tolerable to work with. And, again, a great crown decrease. 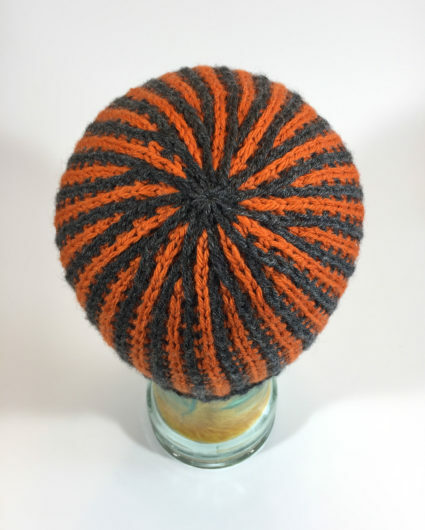 It’s odd that this hat, though it was probably the least fun to knit because it was a bit of a slog, has turned out to be my favorite. Enough so that I’m going to give you a second look at GlassHead modeling it. 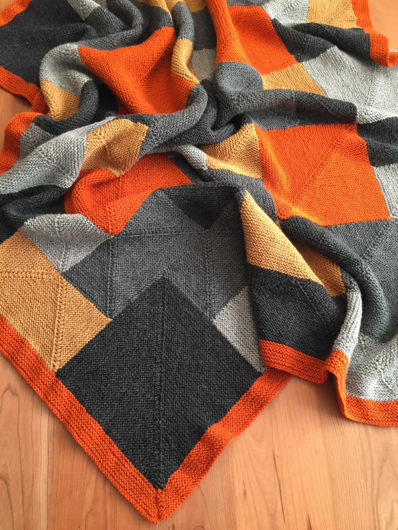 You can check out all of Hammersen’s designs at Pantsville Press and purchase her patterns on Ravelry. You may be questioning two matters by now: (1) what happened to my resolve to stop knitting hats for a bit, and (2) did all this Pure Wool come from my stash or have I cheated and gone off my yarn diet. As for (1), I just couldn’t resist Incise. Slip stitch and I play well together. And there was the matter of a new-pattern discounted price. As for (2), the stashdown continues. Every bit of this yarn is left over from my most recent Rambling Rows.